Join Spongebob and all his friends in an all new adventure! Plankton and his new legion of evil robots have destroyed the Krusty Krab and stolen the safe that houses the famous Krabby Patty formula. It's up to you and your friends to locate the hidden keys before the secret is lost forever. 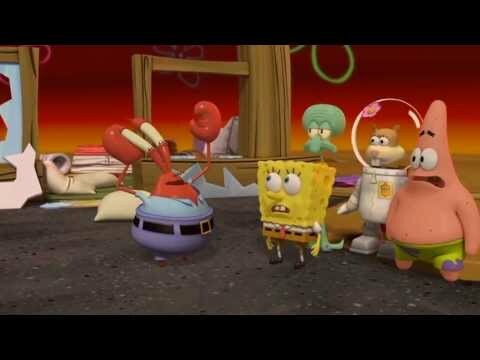 Play as 5 favourite characters - Spongebob, Patrick, Squidward, Sandy and Mr. Krabs. Switch between them as often as you like. Jump in and out of gameplay any time with 3 of your friends with local multiplayer. If at least one player continues so does the game. Level up your abilities and "gizmos" artillery to take on Plankton and his robots.